Minarik’s gift was the creation of character with an economy of words, especially memorable in the figure of Mother Bear who is wryly humorous, playful, and reassuring. When Little Bear makes himself a space helmet and declares his plan to fly to the moon like a bird, she responds with tolerant skepticism. “And maybe,” said Mother Bear, “you are a little fat bear cub with no wings and no feathers. “Be back for lunch,” said Mother. When Little Bear wanders back, pretending in his mind that he is having a lunar experience, his mother greets him, “But who is this? Are you a bear from Earth?” And they enjoy the shared pretense until Little Bear decides it is time to resume his true persona so he can envelop himself in the arms of his real mother. 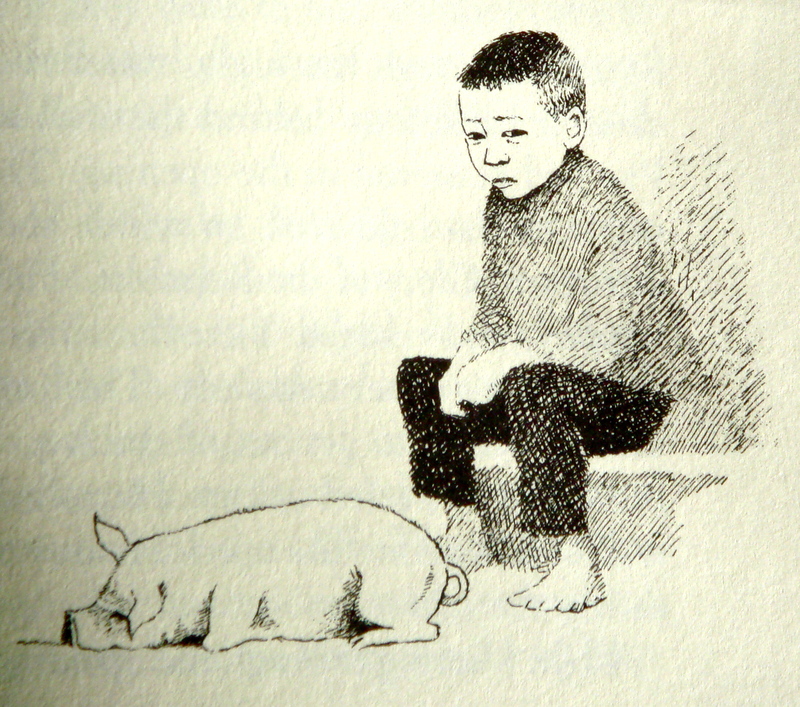 Else Minarik’s writing was paired with Maurice Sendak’s illustrations for Little Bear. Both were immigrants, of sorts. She came from Denmark at the age of four and imbued her books with her memories of an idyllic childhood in the old country. He, the son of Polish immigrants, had a miserable growing-up in Brooklyn, steeped in tragic stories of shtetl persecution. Sendak may have given vent to his personal demons in Where the Wild Things Are and In the Night Kitchen, but for Little Bear he got the tone just right for Minarik’s childhood eden. The costumes are late 19th century with pinafores, bonnets, sweeping dresses, capes, and top hats – for everyone but Little Bear himself, who wears his own fur coat. 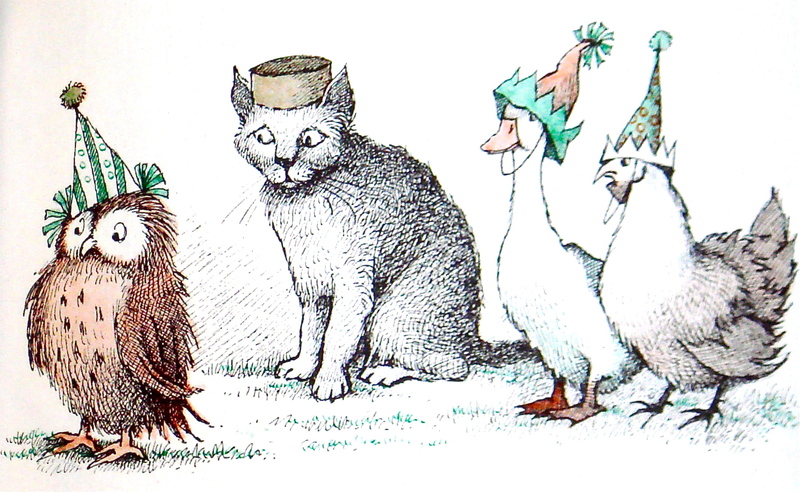 For the space helmet, Sendak devised an upended cardboard box with ear flaps and sprung coil antennae. 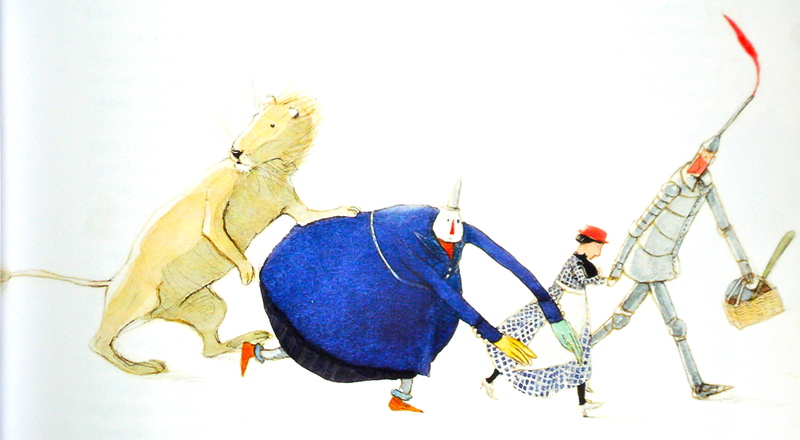 Sendak illustrated the first five in the Little Bear series (Little Bear, Father Bear Comes Home, Little Bear’s Friend, Little Bear’s Visit, and A Kiss for Little Bear) and it is best to stick with these. Note in the last of them, Little Bear paints a picture of a Wild Thing as a gift for his grandmother.